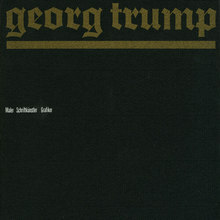 Georg Trump’s Gotisch comes in two weights. 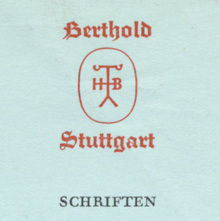 They were issued by Berthold in 1936 (fett) and 1937 (regular). [Klingspor] Digital revivals were made by Dieter Steffmann (fett only, crude freebie, 2002), Ralph M. Unger (RMU, 2011, used for the sample), and Gerhard Helzel (2014).